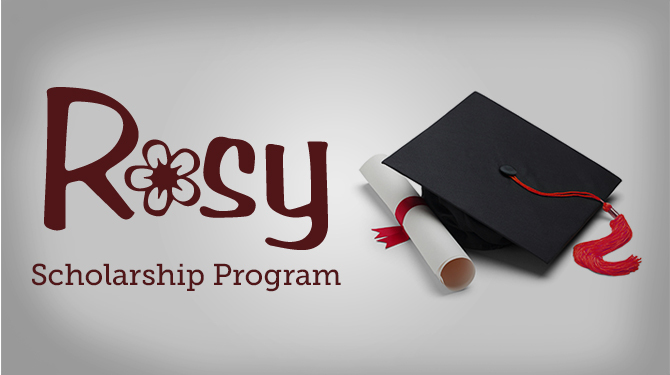 Introducing the ROSY REWARDS scholarship program by Rosy Salon Software. A $10,000 annual scholarship fund just for future salon professionals! Are you a cosmetology, barber or esthetics student? Are you as passionate about the industry as we are? Do you know somebody else who is? See below for a chance to win one of 12 scholarships offered annually! All applicants are required to review the rules and complete the application in full to be considered for this scholarship. Eligibility requirements are as follows. • Be currently enrolled in a cosmetology, barber or esthetics program in the US or Canada resulting in a cosmetology, barber or esthetics license. Continuing education programs or students with an existing cosmetology, barber or esthetics license do not qualify. • Submit a Letter of Recommendation – ask an instructor or employer to vouch for your potential with a letter of recommendation. • Submit a resume highlighting your skills, experience and what sets you apart. • Submit two of your best pics to show off your skills. Winning applicants will be notified by June 30, 2019 and announced shortly after on social media and on this page – no calls please! Funds will be sent directly to the winners’ schools to be used toward their tuition. Rosy Salon and Spa Software is passionate about the salon and spa industry and wants to reward others who are as well. This ROSY REWARDS scholarship program is designed to give future salon professionals an opportunity to further their education by providing funds to help cover a portion of their tuition. Be sure and check out our newest feature – Booth Renter Management Software!